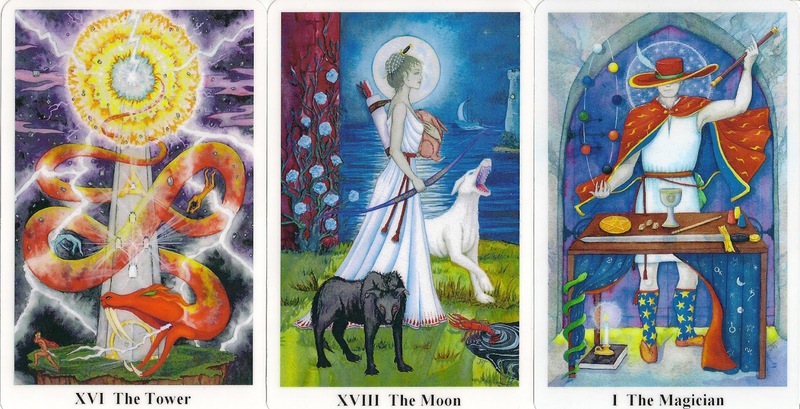 The artist started working on the Minor Arcana but does not intend to complete the deck. Some Minors can be seen here . 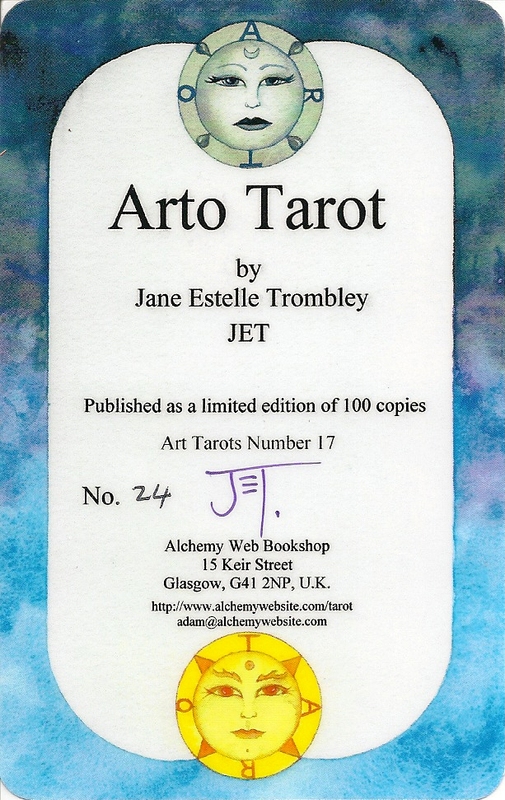 The art is watercolour, the cards are brightly and harmoniously coloured, and bring new imagery to the standard tarot scenes. The Arto Tarot is the 17th limited edition, majors-only deck from Adam McLean. It came in a lidded box and is signed and numbered by the artist. I have copy #24 of 100.